TRANSFORMATIONAL KNOWLEDGE FOR A BETTER WORLD! Children’s Innovation Center is a non-profit organization which brings transformative education and experience to students Ages 9 to 18 through advanced workshops, seminars, and opportunities. Our courses offer experiential and project-based learning with focus on social responsibility and is customized for the age groups – Upper Elementary, Middle School, and High School students. All our programs and courses are after-school activities. Children's Innovation Center offer wide range of year-round after-school courses, Spring/Summer /Winter Camps and Extended Care services. 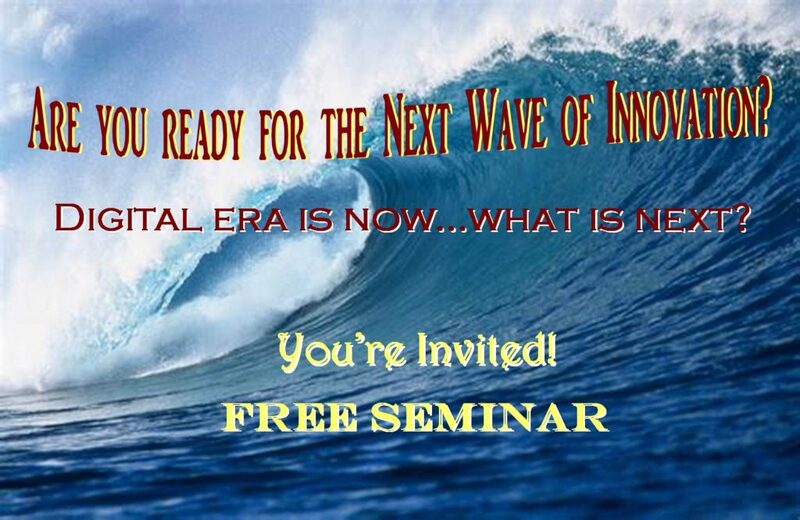 FREE Seminar: Are you ready for the Next Wave of Innovation? 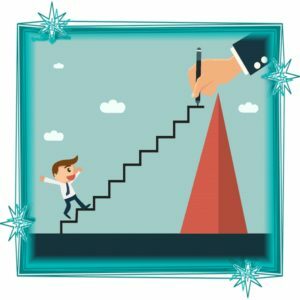 What will drive the future economic growth? What are the fields that would create new market trends? Want to stay ahead of the curve...Join this seminar to find out more. These courses are taught using the Transformative Education Framework. STEAM Foundational Courses builds students' curiosity, questioning skills, observation skills, research skills, and human-centric-solutions design thinking. It focuses on learning Sustainable Innovation methodology, and prepares students on the path to make their own scientific and engineering discoveries. Students apply the new methodologies to create sustainable solutions to the problems we are facing today. prerequisite: Students must complete at least two foundational courses. 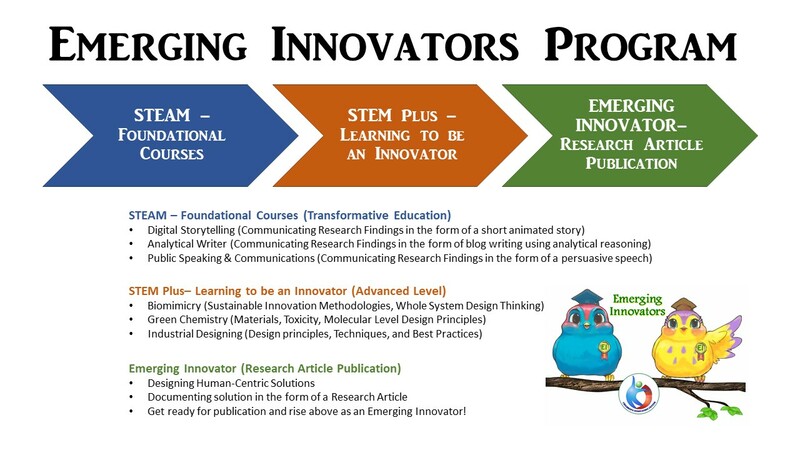 Emerging Innovators is a one year after-school program that focuses on equipping High School students with the skills needed to develop Human-Centric Solutions Designs and write their solutions in the form of a university level Research Article. 1:1 College Planning Services- helps to utilize high-school years effectively and aligns the time and efforts with student's passion, academic goals, and career aspirations. 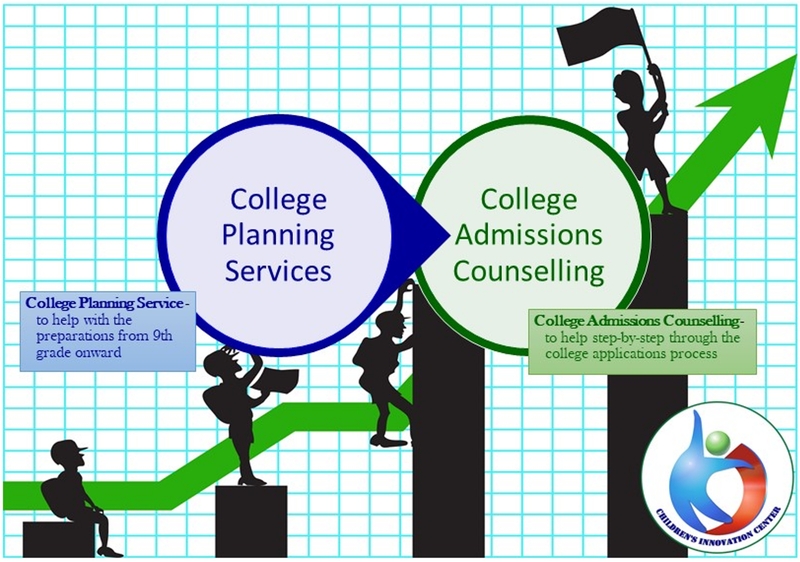 1:1 College Admissions Counselling - helps the student step-by-step through the entire college applications process. Science & Engineering: The focus is on combining Science, Engineering and Technology. These courses offer an interdisciplinary learning experience. Biological Science & Biotechnology: Students learn the current trends, perform hands-on experiments, and learn how to be young scientists. Students select courses from the catalog to pursue their software skills development. Students will progress to create real-time software solutions with the guidance of mentors/trainers. Students have the opportunity to place their applications on SwatStore Marketplace, that caters to real-world customers. Get Your Research Article Published! Fostering the natural curiosity to investigate! Many kids are unable to make observations around themselves and turn the problems around them into ideas and opportunities. We show kids how to make observation, conduct research, apply their acquired knowledge, identify their own passion and potential, understand basic economy and market functions, support and encourage students to confidently take on real-life problems and create sustainable solutions. Exclusive Youth Leadership Program for students of Children's Innovation Center who have met the pre-reqs. Youth Leadership Program - We tailor and individualize the program to help build the story for your college and career path. Community Service Opportunities - We're a certifying organization for the President's Volunteer Service Awards. Sign-up for our newsletter to be notified about volunteering opportunities. "I always look for good programs to keep my kids busy over the summer. Children's Innovation Center was the perfect place for my daughter. Shanti's program did not disappoint. My child enjoyed the course curriculum and projects that were assigned. She really felt comfortable with the place and it turned out to be a really great learning experience along with an awesome environment. Thank you Shanti!" - AJ, parent of 8th grader. This seminar provides an overview of the threats in the Cyber Space, types of cyber-attacks, risks, and mitigations. Content appropriate for K-12 students. 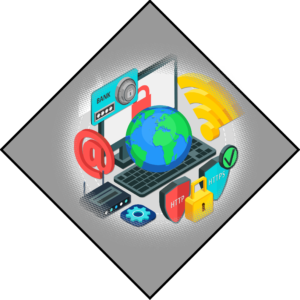 Aimed at equipping students with the ability to distinguish dangers and make safer choices, promote responsibility and good citizenship in Cyber Space. Join us in our efforts to create an Environmentally Sustainable world, which has a balance between Societal Needs, Economic Growth, and Environmental Sustainability. Do you know any student less than 17 years who have demonstrated environmental stewardship and leadership? Nominate your student for the Green Champ Award.